Toy drive for Toys for Tots. Each Rider and passenger bring 1 new, unwrapped toy. 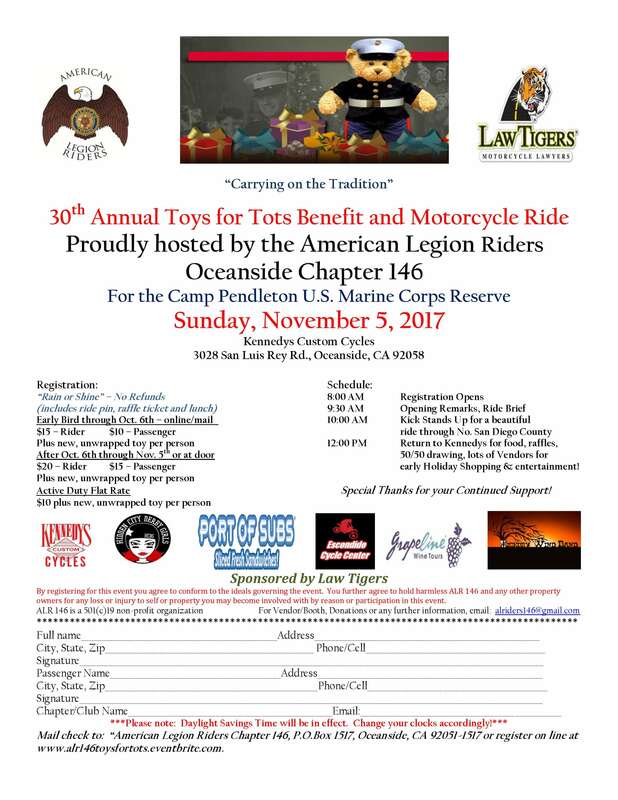 All toys go to Camp Pendleton USMC Reserve families. Hosted by ALR Chapter 146, register on line or at door, receive ride pin, lunch, raffle ticket. Vendors needed, more information – alriders146@gmail.com. Lots of raffle gifts, 50/50, Vendors, entertainment.